ST. GEORGE'S, Grenada, May 11 2013 (IPS) - One daunting scientific forecast states that almost half of the world’s population will live in areas of water scarcity by 2030. 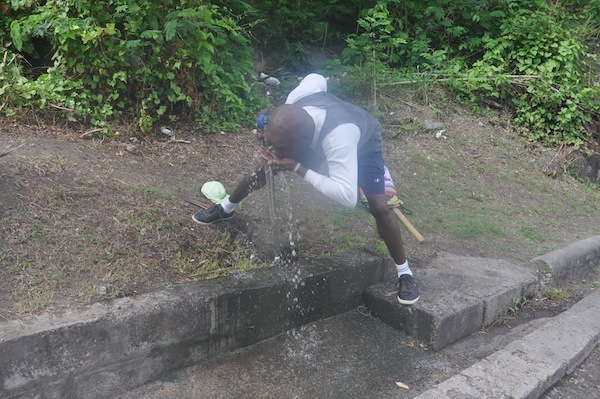 Yet Christopher Husbands, the head of Grenada’s National Water and Sewerage Authority (NAWASA), is unfazed. A community rainwater system is not entirely new to Grenada, the largest of three in this three-island state. The smallest, Pitite Martinique, is supplied completely by rainwater, while the other, Carriacou, is 95 percent supplied by rainwater. The Mero to Castle Comfort project, dubbed “The Third Water Supply Project Water Area-1 (WA-1) Network Upgrade”, includes constructing new intakes, upgrading old intakes and distribution systems, and building two distribution storage tanks.